Time Counter by Sonic Vision Create Inc.
by Sonic Vision Create Inc.
Time does fly like an arrow. 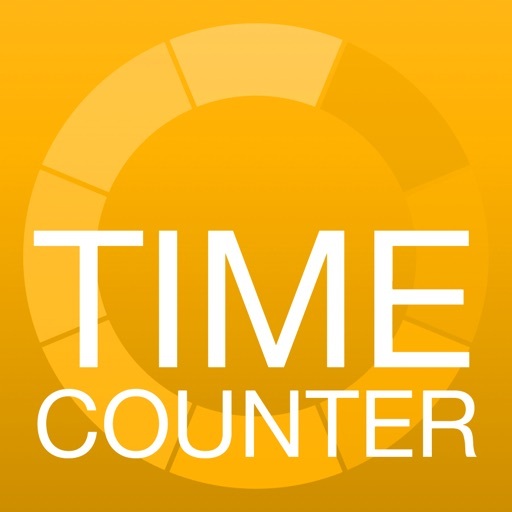 Time Counter tells you how much time has passed since such and such, or how much time there is until such and such, with units and events edited at your will. “Such and such” can be your birthday and birth time, to find how many seconds you have lived so far, or an important must-do schedule, or any event you may be looking forward to. 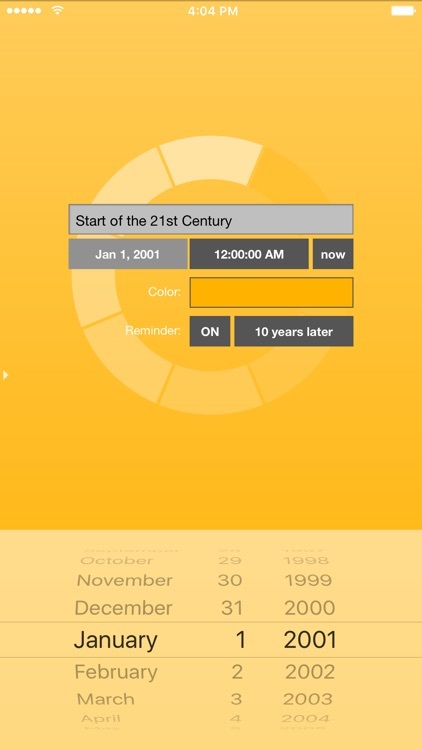 This app will give your time a new meaning. - There will be two event examples in the list, to start with. 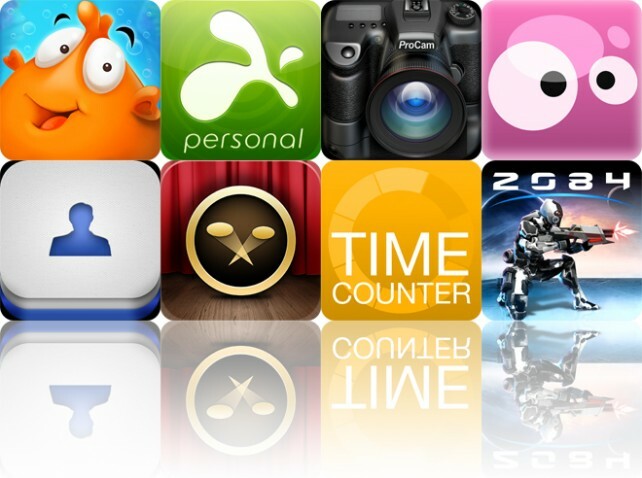 - Tap the event item to change units, to months, hours, minutes, and so on. 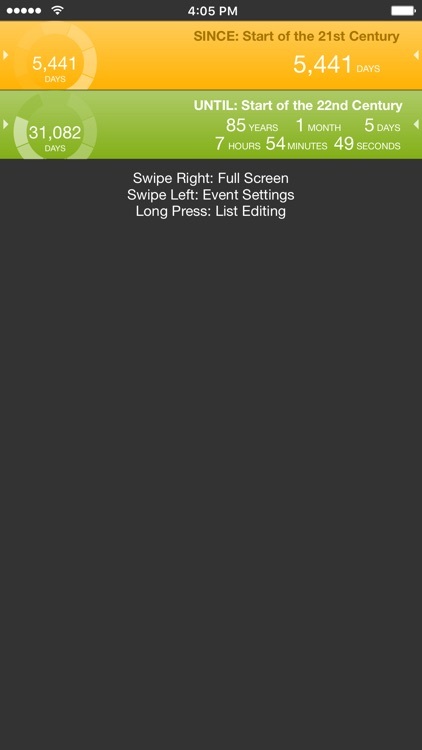 - Swipe the event item to the right for full-screen view. 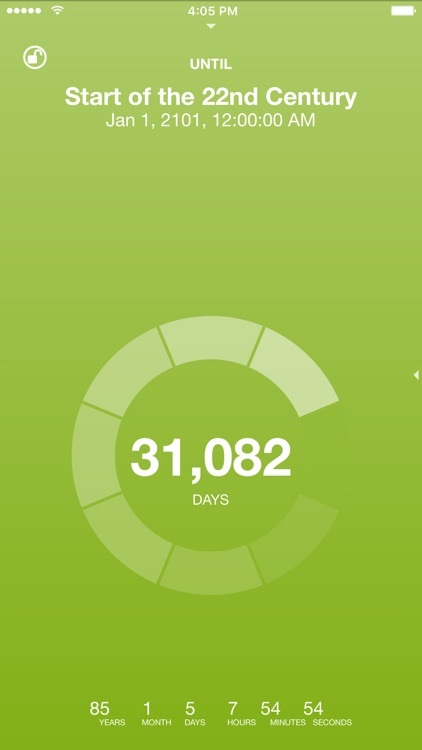 - Tap the number in the center of full-screen view to change units. The list view will change accordingly. - You can lock the full-screen view by tapping the upper-left button. It disables the auto-lock feature of the device. 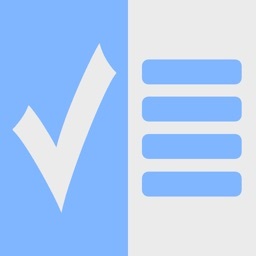 - Swipe the full-screen view to the left to return to list view. - Swipe the event item to the left to display event settings. Here, you can set the title, date, time, color, and reminder. 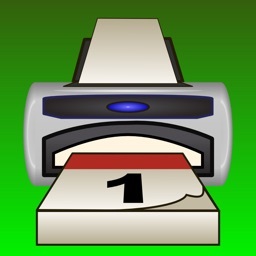 - Reminder will alert you by flashing the item at a specified time. A notification message will appear if you are not using the application (You must enable notifications in the "Settings" app). Cancel reminder by tapping the switch to OFF in the event settings view. - From the event settings view, swipe right to return to list view. 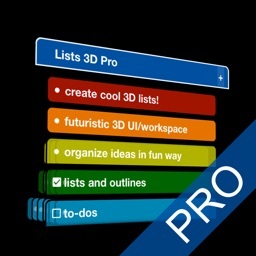 - Long press the list view to change to list editing mode. - In the list editing mode, you can add, delete, and change order of events. To create a new event, swipe "ADD" item to the left. - In the list editing mode, you can sort items by title, date, time, units displayed in thumbnail, and color. - Long press to cancel list editing mode. 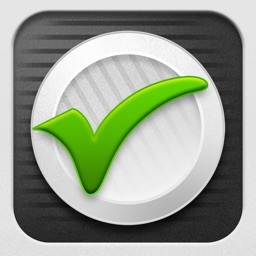 - In the list editing mode, tap the left button in the tool bar to display app settings panel. 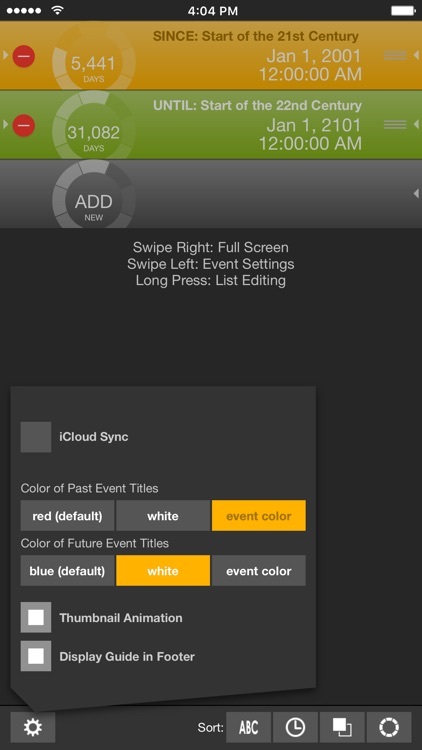 Here, you can set iCloud Sync, color of event title, thumbnail animation, and display of user guide. 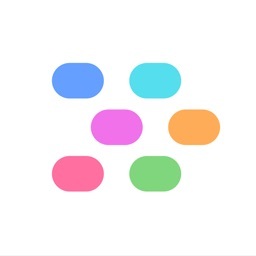 - When iCloud Sync is ON, the local data is merged into iCloud data. When iCloud Sync is OFF, the local data is replaced by the iCloud data. 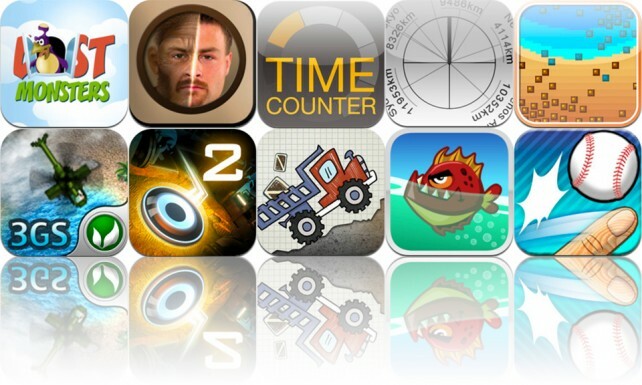 Today's AGF list includes an endless distance game, a business app, and a camera app for iPad. Today's AGF list includes an arcade flight shooter, a doodle-style arcade side-scroller, an action arcade title with one furious fish, a combination match-3 and puzzle sliding game, a couple of entertainment apps, a backyard baseball game with the addictive flick gameplay, best adventure-based labyrinth game ever, and a time tracking app.